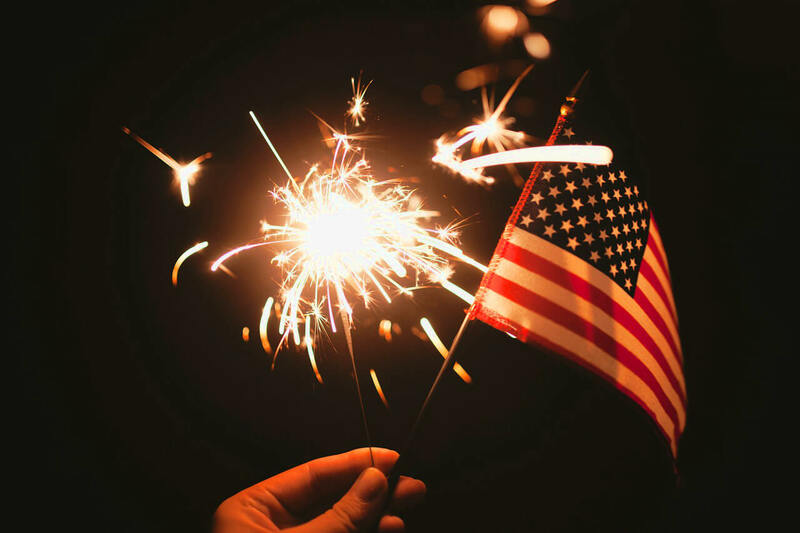 It is close to the fourth of July celebrations and vacations are on the minds of most Americans. Dogs and cats prefer to spend all the time possible with their owners. Vacationing with your pet can be a lot of fun. It is not as simple as just loading your dog or cat in the car and hitting the road. Anyone familiar with taking an infant or toddler on vacation with them will understand the drill. Everything from A to Z has to be taken along to make sure a youngster’s diet and needs are met. There is no difference when vacationing with your pet. If all of this sounds like it is going to be too much work you might want to consider boarding your pet at an appropriate facility. There are a lot of things to consider before vacationing with our pet. How are you going to get from point A to point B? Will you be flying or driving the family car? If you are driving be sure your drive is a safe one for not only your family but your pets. Car safety for pets should not to be overlooked. 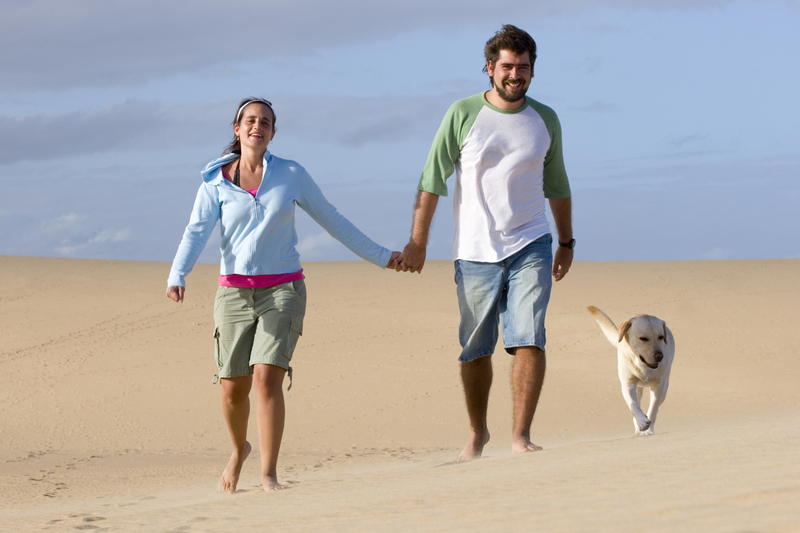 Take a look at some of the most salient points when considering vacationing with your pet. SPECIAL FOODS- When you travel with your pet make sure that you take foods that agree with your dog or cat. Changing a pet’s diet rapidly to something different can lead to gastrointestinal problems including- vomiting and diarrhea. This can be a big problem while driving in a car. Having to stop frequently so the dog can eliminate takes a lot of time and can take the fun out of vacationing with your pet. WATER- You might ask why should I take water along? Many pets adapt readily to a different water sources. Some animals may exhibit gastrointestinal signs associated with water that is from a different municipality. Consider taking along a gallon or two of your hometown water as a good insurance policy. While you are at it, take along or purchase a sports drink that can be given to animals with an upset GI tract. CAT CARRIER- As a general rule cats hate car rides. Listening to a cat howl all day long can take the fun out of vacationing with your pet in a heart beat. Dogs are thrilled to death to go on a car ride but the minute the suitcases come out all cats will hide under a bed. Put the cat in the carrier before you start to load the suitcases. Cats have a habit of disappearing in a flash. When you are on the road put the cat in the carrier BEFORE opening any car door. They often panic and will dart out becoming lost in an instant. LEASHES OR HARNESSES- This type of physical restraint is akin to a cat carrier for felines. Before opening any door apply the leash or harness to the dog so the animal does not get injured darting out the door into the path of cars. Walking a dog in a rest area is no different from that in your neighborhood. Make sure you pick up bowel movements and throw them away. PREPARE FOR CAR MESSES- Animals are like toddlers. They can make messes. They can throw up, have bowel movements, flip over a water bowl or a litter box. This can be messy to say the least. Take along several rolls of paper towels and some disinfectant wipes. Stashing a handful of plastic supermarket bags in the glove compartment is a great idea. These bags are great places to store the mess until it can be disposed of. CAT LITTER BOXES/UTENSILS- Litter boxes can be bulky. Consider taking along a sturdy shoe box filled with litter or a small aluminum tray that can serve the same function. Employ sturdy ceramic water and food bowls to prevent pets from overturning them and making a mess. INVESTIGATE PET FRIENDLY MOTELS- It is important to lay out your route before heading out in your car. If you have a motor home or camper then this is not going to be a problem. Inquire or check online about a motel’s pet policy. Many are pet friendly but it is a good bet to check ahead before you leave on vacation. PICTURES- Smart phones are all over the place. Their cameras are very handy to have around. Before leaving on a trip take a picture of each pet. In case a pet is lost you will have a picture that can readily be printed out or distributed on the internet. This is crucial. A collar with your phone number embroidered on it is also invaluable. MEDICAL/VACCINATION RECORDS- Vacationing with your pet may easily come off without a hitch but be prepared just in case. Illness can strike anyone at any time. If your pet is ill, far from home, veterinarians are going to want to know the EXACT dates of vaccinations. If your dog has a chronic disease or one that is being controlled by medications a copy of your pet’s medical records is invaluable to other veterinarians. Take a copy of the pets RABIES certificate with you on the road. A rabies tag does not protect you one iota in case of a dog bite issue involving your dog or cat. MEDICATIONS- Most dogs are on heartworm or flea/tick preventive medications. Make sure you take an appropriate supply with you. Do not forget any medications that are needed to control medical conditions such as insulin or other hormonal replacement therapy. BEFORE you leave on vacation make sure you have enough medication to last the duration of the trip. If not, get the prescription refilled at your veterinarian’s office. FUN STUFF- Dogs get bored like children do on long road trips. Dogs can not say “are we there yet” but I am sure they can think it! Taking along some special dog toys such as pigs ears or catnip mice can make vacationing with your pets fun for all concerned. It will also make the time pass by quickly. PREPARE FOR MOTION SICKNESS OR ANXIETY- This applies to pets that are driving or flying to their destinations. It is advisable to dose your dog with an appropriate medication to control anxiety before being taken on an commercial jet. Dose the dog about 3 hours before your flight leaves. An average dose lasts about 8-10 hours depending on the individual pet. Acepromazine is the usual drug of choice. Make sure that you obtain all necessary health certificates before your flight departure date. Dogs that travel can also take the same medication. It also will take car of motion sickness at the same time. If your pet has only GI problems when driving consider getting a prescription of Cerenia® from your veterinarian. There may be other personal items needed but the above information is a good start for everybody. Add to or modify the list as you see fit. When you drive make sure you take frequent stops so that your pets can stretch their legs and or go to the bathroom. When you make stops never leave your pets alone in the car PERIOD! Most people take road trips in the summer when it is hot outside. Do not let your dog get close to heat exhaustion! Do not even leave the car with a window partly down. Dogs will escape and run away. They are also territorial of their vehicle and may bite people passing by your vehicle. I have seen all these disasters in my years of practice so take heed. Many people are vacationing with their pets during this special day. Be safe. Do not allow pets near fireworks. These displays can scare the living daylights out of many dogs. I have treated Irish Setters that have jumped through plate glass trying to get away from the noise. Above all, dogs and cats can easily become lost during firework festivities. Make sure all pets have been micro-chipped and or have appropriate collars with your phone number embroidered on them. Celebrate the fourth of July with family and friends. Remember what celebrating the fourth of July is all about! God Bless America!